This entry was posted on December 20, 2009 at 11:22 am and is filed under BXVI, piety, potpourri of popery. You can follow any responses to this entry through the RSS 2.0 feed. You can leave a response, or trackback from your own site. I look forward to the day that both of these Holy Pontiffs are universally celebrated in the Mass. I look forward even more to the day that these feasts will be added to the old calendar, even if the propers are taken from the Commons. 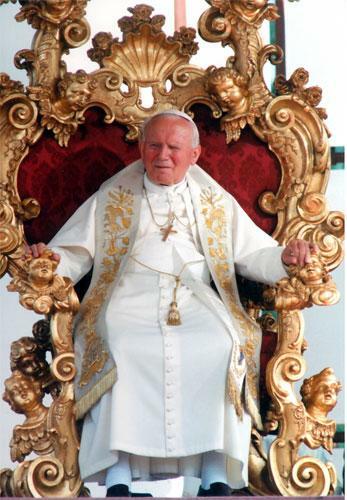 doesnt the fact that John Paul II covered up for his sodomite buddy Cardinal Groer worry you at all? Child abuse isn’t a Catholic issue. It’s a human issue and priests, even cardinals and popes, are human. You, Muslim, are so set against Catholicism because you and your kind are more politically angry than spiritually alive. Islam is militantly taking over France and Britain but you are fools if you think your false religion will ever strike fear in the heart of the Church. Well, it’s a human issue, of course. But we’re not discussing the Church here, but John Paul II. And as far as I know – it might have changed, of course – these things do so quickly – the pope hasn’t yet been declared to BE the Church. By far just it’s head. 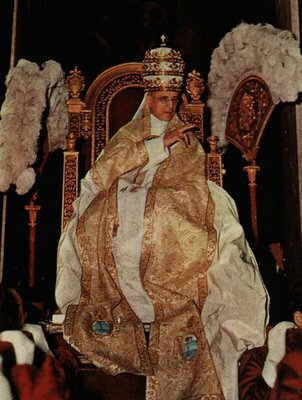 A head that should or shouldn’t be venerated as a saint… doesn’t it seem to you like a good argument against his canonization that he could’ve contributed to a crime and people’s tragedy? It sure does to me. In fairness it is a good argument against the canonization (if it is true, I know nothing about the case). But the problem we have is that the real outrage isn’t against the particular acts themselves but against Catholicism. A Protestant preacher might commit the same horrible act and it is rebuked and then forgotten. A US president disgraces the Oval Office and it becomes a household joke. An insignificant unknown priest commits and act and the media sharpens its fangs and gets ready for blood. At the heart of the world’s reaction is Anti-Catholicism at its most vicious. Anti-Catholicism is the last acceptable form of bigotry. @ C Whitty, the people, including huge numbers of catholics and now ex catholics is because as a body they covered up for their own, this is the difference. If the Church of England covered up abuse then people would attack them also but all such isolated cases in other religions have been condemned by them, not covered up.